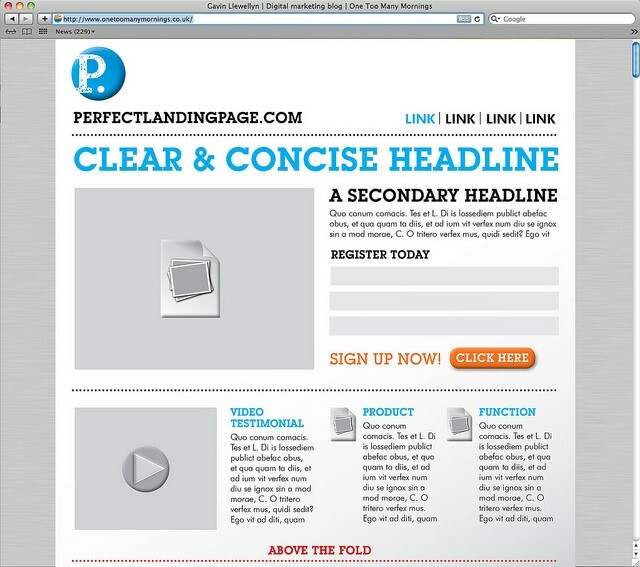 Landing pages aren’t going out of style anytime soon due to their efficiency. But unless you design and set them up right they won’t be productive. To build high-converting landing pages you need to use the right tools and develop a design that will effectively increase conversion. You can get help with the latter by studying specialized sources focused on consumer psychology, such as the ones mentioned here in Entrepreneur. One of the reasons landing pages aren’t used universally is that they are notoriously difficult to build. However, you don’t have to be a professional yourself. You don’t even need to hire an expert. Today you only need to invest in the right software. This is a good option if you have a limited budget. The free version of the tool isn’t efficient, but the basic package offers good value for little money. Unbounce is a highly versatile and advanced tool that will allow you to build as many high-converting landing pages as it’s possible to create. The built-in A/B testing feature allows you to experiment with page design to find the best configuration. LeadPages is a very advanced tool with multiple features that will allow you to create fantastic landing pages. However, it’s the most expensive option. You’ll need to purchase the premium package to get access to all important features. What’s more, many of the templates cost about $10-$15. All of this software for building landing pages is easy to use, as each has a very simple drag-and-drop system. You’ll be able to master any one of them in no time. To speed the process, many tutorials are available to help you understand all the features. Neil Patel, a renowned marketing guru, highlights that the loading speed of a page is a crucial factor for conversion. That’s because visitors will abandon a site if they have to wait as long as four seconds for it to load. As a matter of fact, by the fourth second of waiting the abandonment rate grows to more than 25%. However, landing pages must feature graphics. This is due to the strong emotional pull of visuals and their resulting marketing value. High-quality graphics are a testament to the business’s class, but they are also heavy, meaning they slow loading speed. Statistics indicate that 82.2% of all landing pages have images that should be compressed. Compressing your images will immediately increase conversions by a few percent due to the increased loading speed. The best tools to use for image conversions are Optimizilla, ImageRecycle, CompressNow, and Trimage. However, optimizing your images isn’t the only factor that affects loading speed. The quality and type of your hosting service also matter greatly. If you want to achieve the best results, choose from among the best providers of small business hosting. These companies have affordable signup packages, so you can start with a great website even if your budget is limited. Use a bold and to-the-point headline that will instantly grab attention. Provide a sub-headline that will arouse curiosity and motivate visitors to read further. Include a visual element that invites trust and inspires positive emotions while also sending out a clear message of the product’s usefulness. List the core benefits that the customers will receive from buying your product (not a list of its fancy features). You can also include customer testimonials to help increase visitors’ trust in your business. If you want to build high-converting landing pages, be sure to use a minimalistic approach in design. The message you send out must be clear and easy for prospective customers to understand. This means skipping elaborate fonts and an overabundance of images. Aim for maximum effect with minimal elements. Most importantly, stick to only one message per page. As you can’t include a lot of text and multiple visuals and still maintain the efficiency of the landing page, you should use subtle influence techniques to increase conversions. Color psychology is one of the most effective of these tools. HelpScout offers a detailed breakdown of how to use colors in marketing. If you want to build high-converting landing pages, use a solid background color that will contrast well with the other elements and make them stand out. Choose the color of your CTA based on the emotion that is most likely to motivate the action you want visitors to take. You don’t need to be an expert to create your own high-converting landing pages. Just follow the tips and suggestions here, and you’ll be on your way.